We are a family who has experienced the loss of close relatives and friends over the years. Having attended numerous wakes and funerals, we struggled to recognise some family members that we should have sympathised with. We didn’t recognise them because time had changed their physical appearance. As a result, we developed bereavement pins which are worn by grieving family members to distinguish them at wakes and funerals. 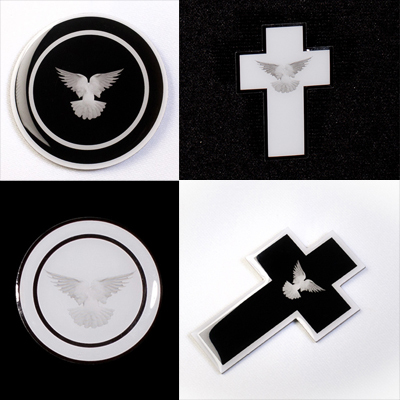 Developed to be worn by the immediate family members of the deceased to help visitors to the wake and funeral identify the appropriate family members with whom to sympathise and as outward expression of loss during a mourning period. By wearing a Mourning Cross Bereavement pin it makes it easier to be recognized. Those we love do not go away, they walk beside us everyday unseen, unheard but always near…still loved, still missed, and very dear. Grieve but not for too long….